Competition Drag Racing events at Perth Motorplex will be sanctioned by the International Hot Rod Association (IHRA) as of the 1st of December, 2015. Perth Motorplex confirms that it is no longer sanctioned by ANDRA and has no links to this organisation for Drag Racing. Competitors participating at Perth Motorplex Competition Drag Racing events from the 1st of December will be required to hold an IHRA license. Perth Motorplex confirms that it has Public Liability Insurance in place as well as Personal Accident Insurance, which covers Competitors, Crews, Officials and Media. For simplicity, until IHRA is fully operational in Australia competitors are required to complete the form attached here and return it to the Track along with the license fee payment of USD$70.00 (approximately $AU100.00 at time of writing). Perth Motorplex will process a receipt for the payment and provide the competitor a copy of the form to keep for their records. Perth Motorplex will send the application forms and entire payment to IHRA who will process the new license and mail it back to the competitor. Current licenses will be recognised to facilitate a complimentary IHRA license. The complimentary IHRA license will be available for current license holders from 1st December 2015 until 30th March 2016 or on expiry of the existing license, whichever comes first. To obtain a complimentary license, competitors must provide a copy of their current license and complete an IHRA License form. The competitor’s racing number will transfer to their IHRA License. Prior to renewal of a current license, all competitors must complete a Medical unless they can produce a Medical certificate that is less than two years old. Any current Vehicle Technical Inspection will be recognised to facilitate the IHRA Technical Sticker. On sighting of a current Technical Sticker and Logbook at scrutineering, an IHRA Technical Sticker will be attached and a Vehicle Logbook will be issued for the vehicle. Technical Inspections for racers competing at this weekend’s Nitro Slam are available on Friday. 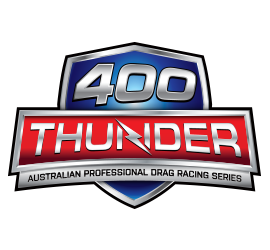 Any competitor requiring a Technical Inspection for their vehicle are requested to contact Dale Gummow atdragracing@motorplex.com.au to schedule an inspection on Friday.